Set an Objective: As a leader, you need to be clear about the objective of the meeting. Laying down an outline for the meeting is helpful as it gives everyone an idea about the overall flow of the meeting. Do take your time and identify the agenda, whether it is a problem solving meeting or a meeting to generate ideas. Coherency: Communication is the key to all problems. So, be coherent in your speech as this will send your ideas across clearly. It will also establish the tone and the purpose of the meeting ahead. Time Management: Prioritising time wisely is one of the most important pointers. Thus, ensure you have an agenda laid out, where you tackle each issue on timely basis. Also, as a leader you should ensure that the discussion does not stray away from the main issue. The other key thing about time management is to ensure that the discussion does not run forever. Encourage Participation: This is an excellent way to increase interaction. Participation makes everyone feel an important part of the meeting, along with generating more ideas. As a leader, you can build confidence and trust in your team members through effective participation and interaction. Summarise: Always wrap up the meeting by summarising the points and discussion. This clears up responsibility of each attendee and helps to avoid future conflicts, if any. Keep a Record: This is the post-meeting stage. Always ensure that the minutes of meeting are recorded in an orderly manner for future references. Distribute the minutes of the meeting that specifies the ongoing and conclusion of the meeting. So, if anyone has any doubt they can always refresh their memory through the minutes. 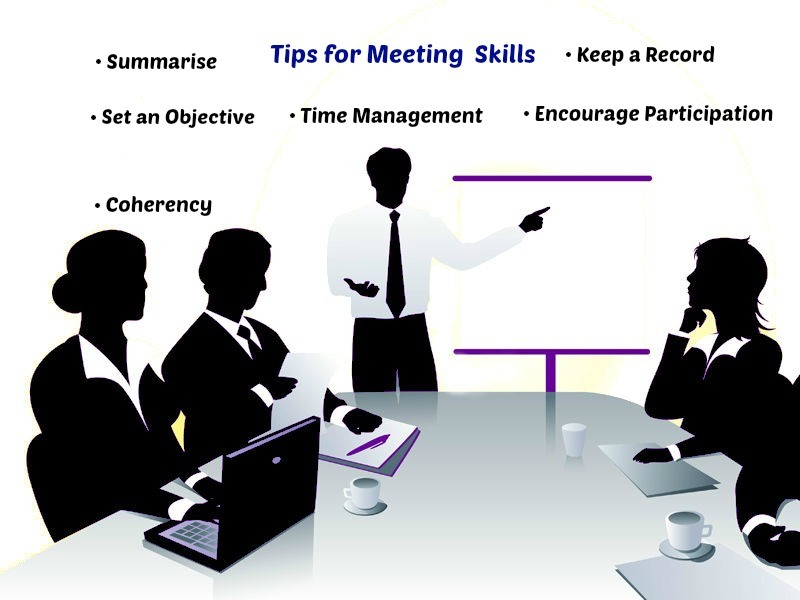 These tips will help you enhanceyour meeting skills, resulting in a productive meeting. But don’t just stop at this; get as much knowledge about the subject as you can. For insightful details, look for Welingkar’s Distance Education Programme where they have courses and workshops that will boost your presentation and meeting skills. This entry was posted in We Learn and tagged Coherency, effective meeting, Encourage Participation, Keep a Record, Meeting, Set an Objective, Summarise, TIME MANAGEMENT, Tips to Enhance Your Meeting Skills, Welingkar’s Distance Education, Welingkar’s Distance Education Programme. Bookmark the permalink.